Having read Victoria’s lovely post about her upcoming birthday I thought I’d create my own. So on the day I turn 32, here are 32 facts about me. 2. My middle name is Louise. As, it seems, is almost every other 30-something year old’s too. 3. I changed my surname when I got married in 2016. I don’t regret it but I do really miss my maiden name. 4. 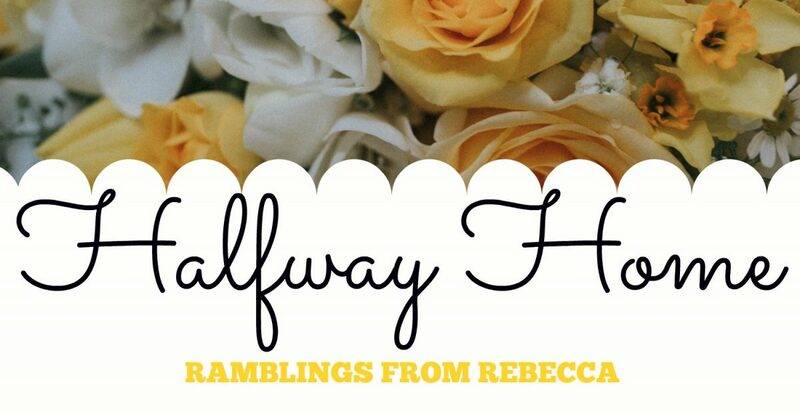 My blog name ‘Halfway Home’ comes from a Jason Mraz song and was suggested by Jonny when I didn’t know what to call this little spot of the internet. 5. My all time favourite song, however, is Mr Brightside by The Killers. 6. Our wedding first dance song was You’re My Best Friend by Queen. We’re not a cool couple. 9. I’m scared of spiders, cows and wasps. I’m an actual wimp. 10. My parents’ springer spaniel, Purdey is my favourite animal in the whole world. She always makes me smile with her constant need for attention. 11. My little brother lives in Sydney, Australia and I miss him a ridiculous amount. 12. When Jonny proposed to me I thought he was actually about to give me a puppy. He still maintains I’d have preferred the puppy. 13. I taught myself to knit to stave off the boredom of unemployment in 2009. Now I’m unemployed again it’s a hobby I’m getting back into. 14. I quit teaching after 8 years to pursue a completely different career. I’m not sure what that is yet. 15. When I was 20 I had appendicitis. The hospital almost wouldn’t let me sign the operation consent form because they thought I was under 16 and my mum thought I was being melodramatic about a hangover when I called her to let her know what was going on. 16. 10 Things I Hate About You is my favourite film. I can pretty much quote along to it word-for-word. If you haven’t watched it you really should, if only for the dreamboat that was late 90s Heath Ledger. 17. The thing that annoys me most is bad manners. Saying please, thank you, excuse me and sorry costs nothing! 18. I get annoyed fairly easily. I have a short temper. It’s improving with age but it’s definitely still a thing. I blame my Irish father. 19. Winter is my favourite season. I love wrapping up in lots of cosy layers, I love Christmas, I love snow and my birthday falls in winter; win win. 20. Getting my BA (Hons) in History in 2007 still remains one of the achievements I’m most proud of. 21. My favourite childhood book was Can’t You Sleep Little Bear, closely followed by anything by Beatrix Potter. Now I’m an adult I can’t choose a favourite. 22. I grew up in West Yorkshire although now I live on the other side of the Pennines in Lancashire. Our little village is beautiful but the weather is 100% better in Yorkshire. 23. I love daffodils. Like, really love daffodils. So much so that we had a spring wedding so that they could be incorporated into the flowers. 24. There’s a field at the bottom of our street with 2 ponies in it. I don’t know their names so I’ve christened them Peter the Pony and Henry the Horse. You’ve got to love alliteration. 25. I’m on the eternal quest to have a more minimalist house but I love tack and woodland creature themed decorations too much for this to ever be the case. 26. We’re big David Attenborough fans in our house. I can’t get through an episode without crying. Happy crying. Sad crying. Crying because the bobbit is creepy af. 27. I have one nephew, one goddaughter and one godson. They’re all ridiculously cute. 28. I would love children one day. I would also love people to stop asking when that’s going to happen. Once you’re married it seems to be a favourite question to ask. 29. For my 30th birthday I went to a champagne reception at Highclere Castle (Downton Abbey) I spent the entire evening pretending I was Lady Mary and to be a LOT posher than I actually am. 30. Despite having lived in the north of England all my life I don’t have a particularly strong northern accent. I don’t really have any accent and can’t do any impressions of any either. 31. I secretly really enjoy cleaning. Having a clean home really pleases me. Simple things. 32. My balance and coordination are awful. I regularly fall up the stairs and often bump into inanimate objects. At any given time there’s at least one bruise on each of my legs/arms. More specifically, how much technology is too much? Answer: the amount I use. I am completely guilty of having been that person that has their phone out on the table at dinner time. I’ve definitely scrolled through Instagram and Twitter whilst watching a film on the sofa. Whilst watching a film! Writing that makes me feel like a bit of an idiot. However it’s something we’re all increasingly guilty of. Now I didn’t set resolutions as such for this year but one thing I did do (in my beloved bullet journal) was to make a list of things I want to do less and more of in 2018. Almost at the very top of the ‘less’ list was screen time. Whether that be on my phone or iPad I need to seriously rein myself in. I downloaded an app at the start of the year to see how much time a day I was spending on my phone and, honestly, I was disgusted. I was clocking up almost 4 hours a day dicking around on social media, scrolling Pinterest or reading utter rubbish on Buzzfeed. 4 hours is definitely too much. I’m now planning on leaving my phone downstairs at night, then I can’t reach for a lazy scroll through my various feeds before I drag myself out of bed in the morning. I want to start my day in a way that is more beneficial to my mental health; practising yoga or meditation, or reading a chapter of my current book. Wasting the first 40 minutes of my day staring at a phone screen is not the way forward. Now I’m not saying I’m going to stop using social media completely or that I’m going to sacrifice my iPhone in favour of one that can’t do anything more than text or call (remember those good old days?) I am, instead, going to be more mindful of how much I use it. No more mindless scrolling mid film or book. No more reaching for my phone as soon as I’ve woken up. Now I just need an alarm clock to replace my phone in our bedroom. Ideally one that doesn’t tick as Jonny cannot bear ticking clocks. Any ideas where to start looking for one that isn’t hideous? Or any tips on how to regulate my screen time better? Author rebeccahalfwayPosted on January 30, 2018 January 29, 2018 Categories about me9 Comments on How Much Is Too Much? 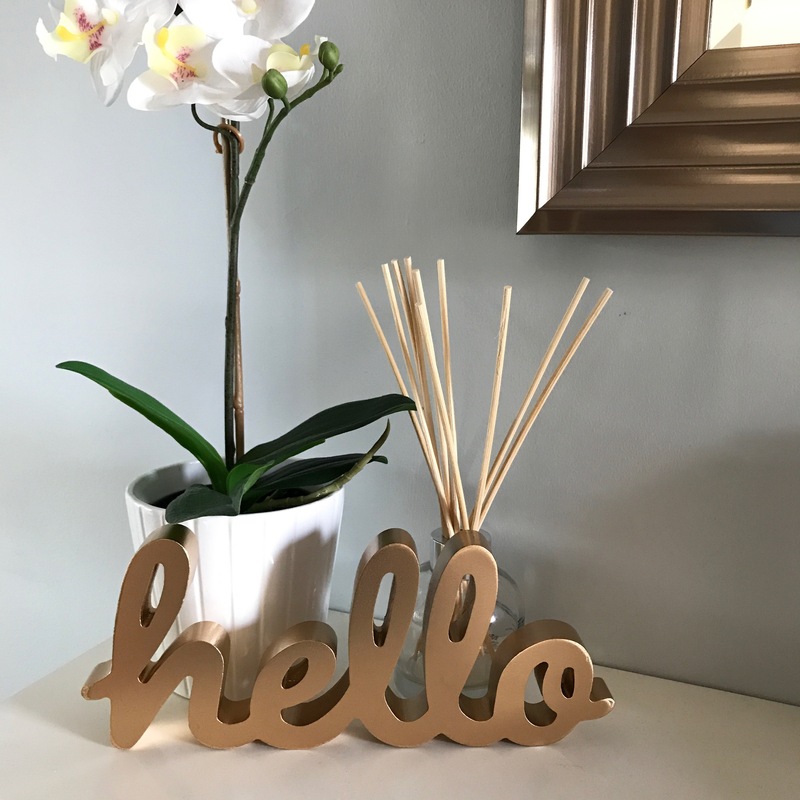 I’m a little late to the 2018 blog post party but better late than never, right? The first week of 2018 was spent with a delightful stomach bug whilst my, very lucky, husband got to travel to Uganda with work. He then had to travel to India during the second week so I’ve been left to entertain myself/having the mothership round to entertain me. 2017 ended in a bit of a whirlwind. I handed my notice in at work and, as of 31st December, I’m no longer a primary school teacher. The ins and outs of that are possibly for another post, but let’s just say that being diagnosed with anxiety and depression by the doctor at the end of October probably covers most of those bases. So, here we are in 2018. For me that means starting to look after myself better whilst also trying to find the illustrious dream job! attempting to get fitter – Jonny took me running on Sunday morning – I am seriously unfit. reading more. My tbr pile is getting a bit out of control and I really enjoy the escapism of reading so the next challenge is to plough through that! cracking back on with the mindfulness; I’ve tried this before and found it helped but have fallen off the wagon so I’ve been enjoying creating a slightly calmer head space recently. stopping feeling guilty when I say no to something. Happy, belated, new year everyone. I hope it’s a good one.